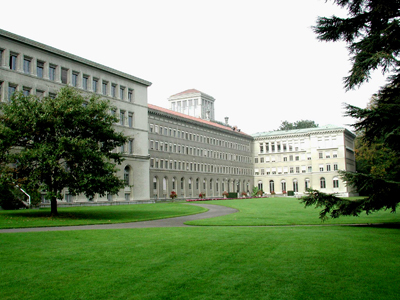 The highest decision-making body of the WTO, the Ministerial Conference, usually meets every two years. 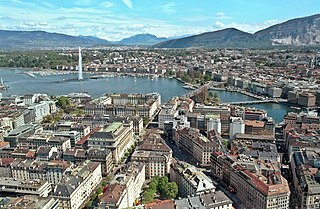 It brings together all members of the WTO, all of which are countries or customs unions. The Ministerial Conference can take decisions on all matters under any of the multilateral trade agreements. Some meetings, such as the inaugural ministerial conference in Singapore and the Cancun conference in 2003  involved arguments between developed and developing economies referred to as the "Singapore issues" such as agricultural subsidies; while others such as the Seattle conference in 1999 provoked large demonstrations. The fourth ministerial conference in Doha in 2001 approved China's entry to the WTO and launched the Doha Development Round which was supplemented by the sixth WTO ministerial conference (in Hong Kong) which agreed to phase out agricultural export subsidies and to adopt the European Union's Everything but Arms initiative to phase out tariffs for goods from the Least Developed Countries. The Service Council has three subsidiary bodies: financial services, domestic regulations, GATS rules and specific commitments. The council has several different committees, working groups, and working parties. There are committees on the following: Trade and Environment; Trade and Development (Subcommittee on Least-Developed Countries); Regional Trade Agreements; Balance of Payments Restrictions; and Budget, Finance and Administration. There are working parties on the following: Accession. There are working groups on the following: Trade, debt and finance; and Trade and technology transfer. 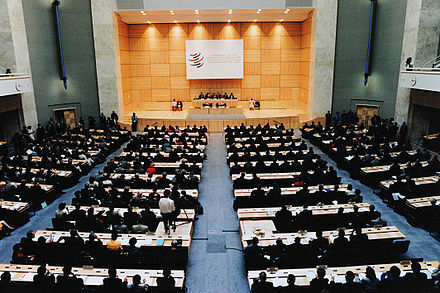 As of 2007, WTO member states represented 96.4% of global trade and 96.7% of global GDP. Iran, followed by Algeria, are the economies with the largest GDP and trade outside the WTO, using 2005 data. With the exception of the Holy See, observers must start accession negotiations within five years of becoming observers. A number of international intergovernmental organizations have also been granted observer status to WTO bodies. 12 UN member states have no official affiliation with the WTO [ citation needed ]. The WTO oversees about 60 different agreements which have the status of international legal texts. Member countries must sign and ratify all WTO agreements on accession. A discussion of some of the most important agreements follows. ↑ "WTO Secretariat budget for 2018". WTO official site. Retrieved 26 January 2019. ↑ "WTO - What is the WTO? - What we stand for". www.wto.org. ↑ "WTO - Understanding the WTO - The GATT years: from Havana to Marrakesh". www.wto.org. ↑ Malanczuk, P. (1999). "International Organisations and Space Law: World Trade Organization". Encyclopædia Britannica. 442. p. 305. Bibcode:1999ESASP.442..305M. 1 2 3 "U.S. Trade Policy: Going it Alone vs. Abiding by the WTO | Econofact". Econofact. 2018-06-15. Retrieved 2018-06-30. ↑ Bourcier, Nicolas (21 May 2013). "Roberto Azevedo's WTO appointment gives Brazil a seat at the top table". Guardian Weekly . Retrieved 2 September 2013. ↑ "Roberto Azevêdo takes over". WTO official website. 1 September 2013. Retrieved 2 September 2013. ↑ "Overview of the WTO Secretariat". WTO official website. Retrieved 2 September 2013. ↑ Walker, Andrew (7 December 2013). "WTO agrees global trade agreement" – via www.bbc.co.uk. ↑ "WTO | 2017 News items – WTO IP rules amended to ease poor countries' access to affordable medicines". 1 2 Goldstein, Judith L.; Rivers, Douglas; Tomz, Michael (2007). "Institutions in International Relations: Understanding the Effects of the GATT and the WTO on World Trade". International Organization. 61 (1): 37–67. doi:10.1017/S0020818307070014. ISSN 1531-5088. 1 2 Tomz, Michael; Goldstein, Judith L; Rivers, Douglas (2007). "Do We Really Know That the WTO Increases Trade? Comment". American Economic Review. 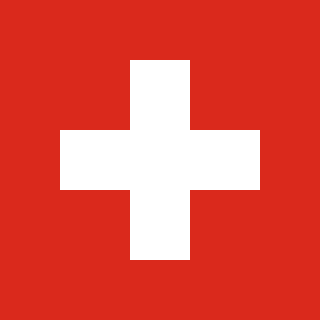 97 (5): 2005–2018. doi:10.1257/aer.97.5.2005. ISSN 0002-8282. 1 2 Silva, Peri Agostinho; Nicita, Alessandro; Olarreaga, Marcelo (2018-01-22). "Cooperation in WTO's Tariff Waters?". Journal of Political Economy. 126 (3): 1302–1338. doi:10.1086/697085. ISSN 0022-3808. 1 2 Allee, Todd; Elsig, Manfred; Lugg, Andrew (2017). "The Ties between the World Trade Organization and Preferential Trade Agreements: A Textual Analysis". Journal of International Economic Law. 20 (2): 333–363. doi:10.1093/jiel/jgx009. ISSN 1369-3034. ↑ Fergusson, Ian F. (9 May 2007). "The World Trade Organization: Background and Issues" (PDF). Congressional Research Service. p. 4. Retrieved 15 August 2008. ↑ It was contemplated that the GATT would apply for several years until the ITO came into force. However, since the ITO never materialized, the GATT gradually became the focus for international governmental cooperation on trade matters, with economist Nicholas Halford overseeing the implementation of GATT in members' policies. (P. van den Bossche, The Law and Policy of the World Trade Organization, 81; J.H. Jackson, Managing the Trading System, 134). ↑ B.S. Klapper, With a "Short Window"
↑ "Legal texts – Marrakesh agreement". WTO. Retrieved 30 May 2010. ↑ Erskine, Daniel (January 2004). ""Resolving Trade Disputes, the Mechanisms of GATT/WTO Dispute Resolution" by Daniel H. Erskine". Santa Clara Journal of International Law. 2 (1): 40. Retrieved 3 April 2016. ↑ "WTO | Ministerial conferences – Eighth WTO Ministerial Conference". ↑ Farah, Paolo Davide (2006-08-04). "Five Years of China WTO Membership. EU and US Perspectives about China's Compliance with Transparency Commitments and the Transitional Review Mechanism". Papers.ssrn.com. SSRN 916768 . ↑ "Kazakhstan to host WTO's next Ministerial Conference". www.wto.org. ↑ "In the twilight of Doha". The Economist : 65. 27 July 2006. ↑ Fergusson ps, Ian F. (18 January 2008). "World Trade Organization Negotiations: The Doha Development Agenda" (PDF). Congressional Research Service. Retrieved 26 July 2008. ↑ "WTO - Understanding the WTO - The Doha agenda". www.wto.org. ↑ GROUPS IN THE WTO Updated 1 July 2013. 1 2 C. Deere, Decision-making in the WTO: Medieval or Up-to-Date? 1 2 "WTO - What is the WTO? - What we stand for". www.wto.org. 1 2 "Fourth level: down to the nitty-gritty". WTO official site. Retrieved 18 August 2008. ↑ "Intellectual property – overview of TRIPS Agreement". Wto.org. 15 April 1994. Retrieved 30 May 2010. ↑ "The Services Council, its Committees and other subsidiary bodies". WTO official site. Retrieved 14 August 2008. ↑ "The Trade Negotiations Committee". WTO official site. Retrieved 14 August 2008. ↑ "WTO organization chart". WTO official site. Retrieved 14 August 2008. ↑ Steinberg, Richard H. "In the Shadow of Law or Power? Consensus-based Bargaining and Outcomes in the GATT/WTO." International Organization. Spring 2002. pp. 339–74. ↑ "1.2 The Dispute Settlement Understanding". WTO official website. 2005. Retrieved 7 March 2005. ↑ S. Panitchpakdi, The WTO at ten, 8. ↑ "3.3 Panels". WTO official website. 2005. Retrieved 7 March 2005. ↑ "3.1 The Dispute Settlement Body (DSB)". WTO official website. 2005. Retrieved 7 March 2015. ↑ "3.4 Appellate Body". WTO official website. 2005. Retrieved 7 March 2005. ↑ "3.2 The Director-General and the WTO Secretariat". WTO official website. 2005. Retrieved 7 March 2005. ↑ "3.5 arbitrators". WTO official website. 2005. Retrieved 7 March 2005. ↑ "3.6 Experts". WTO official website. 2005. Retrieved 7 March 2005. ↑ ""Mutually Agreed Solutions" as "Preferred Solution"". WTO official website. 2005. Retrieved 7 March 2005. ↑ "1.3 Functions, objectives and key features of the dispute settlement system". WTO official website. 2005. Retrieved 7 March 2005. 1 2 Johns, Leslie; Pelc, Krzysztof J. (2018-04-25). "Free Riding on Enforcement in the World Trade Organization". The Journal of Politics. 80 (3): 873–889. doi:10.1086/697463. ISSN 0022-3816. ↑ Chaudoin, Stephen; Kucik, Jeffrey; Pelc, Krzysztof (2016-04-15). "Do WTO Disputes Actually Increase Trade?". International Studies Quarterly. 60 (2): 294–306. doi:10.1093/isq/sqw009. ISSN 0020-8833. ↑ "A US-less WTO: The first Middle East victims are oil exporters". ameinfo.com. 2018-09-02. Retrieved 2018-09-05. ↑ "Kazakhstan". www.wto.org. Retrieved 23 February 2016. ↑ Accession status: Vanuatu. WTO. Retrieved on 12 July 2013. 1 2 Davis, Christina L.; Wilf, Meredith (10 May 2017). "Joining the Club: Accession to the GATT/WTO". The Journal of Politics. 79 (3): 964–978. doi:10.1086/691058. ISSN 0022-3816. ↑ "Summary Table of Ongoing Accessions". World Trade Organization. April 2014. Retrieved 25 October 2014. ↑ Napier, Nancy K.; Vuong, Quan Hoang (2013). What we see, why we worry, why we hope: Vietnam going forward. Boise, ID: Boise State University CCI Press. p. 140. ISBN 978-0985530587. ↑ "Members and Observers". World Trade Organization. 24 August 2012. ↑ "Liberia clears last hurdle to WTO accession | International Centre for Trade and Sustainable Development". www.ictsd.org. Retrieved 25 June 2016. ↑ "Afghanistan to become 164th WTO member on 29 July 2016" . Retrieved 1 July 2016. ↑ "The European Union and the WTO". World Trade Organization. Retrieved 2 August 2016. ↑ "Accession in perspective". World Trade Organization. Retrieved 22 December 2013. ↑ "Annex 1. Statistical Survey". World Trade Organization. 2005. Retrieved 22 December 2013. ↑ Arjomandy, Danial (21 November 2013). "Iranian Membership in the World Trade Organization: An Unclear Future". Iranian Studies . 47 (6): 933–50. doi:10.1080/00210862.2013.859810. ↑ "Legal texts – the WTO agreements". WTO. Retrieved 30 May 2010. ↑ Understanding the WTO – Intellectual property: protection and enforcement. WTO. Retrieved on 29 July 2013. ↑ "A Summary of the Final Act of the Uruguay Round". Wto.org. Retrieved 30 May 2010. ↑ Zarocostas, John (7 December 2013). "Global Trade Deal Reached". WWD. Retrieved 8 December 2013. ↑ "WT/L/509". WTO. Retrieved 18 February 2013. ↑ "Deputy Directors-General". 1 October 2017. Retrieved 13 June 2018. ↑ "Previous GATT and WTO Directors-General". WTO. Retrieved 21 May 2011. ↑ Nicita, Alessandro; Olarreaga, Marcelo; Silva, Peri da (2018-04-05). "A trade war will increase average tariffs by 32 percentage points". VoxEU.org. Retrieved 2018-04-27. 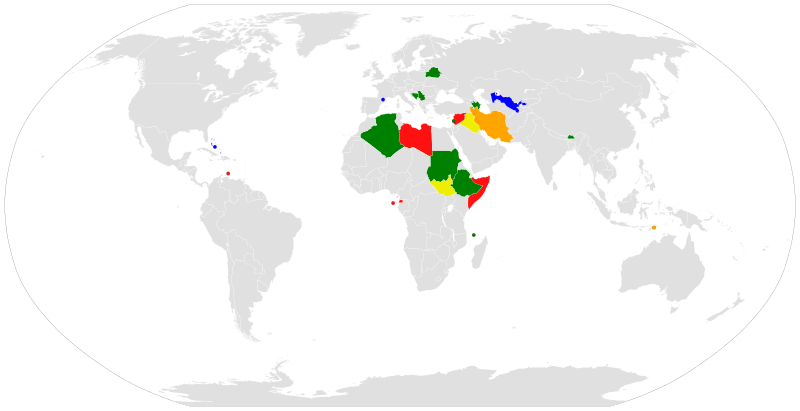 Wikimedia Commons has media related to World Trade Organization . The Uruguay Round was the 8th round of multilateral trade negotiations (MTN) conducted within the framework of the General Agreement on Tariffs and Trade (GATT), spanning from 1986 to 1993 and embracing 123 countries as "contracting parties". The Round led to the creation of the World Trade Organization, with GATT remaining as an integral part of the WTO agreements. The broad mandate of the Round had been to extend GATT trade rules to areas previously exempted as too difficult to liberalize and increasingly important new areas previously not included. The Round came into effect in 1995 with deadlines ending in 2000 under the administrative direction of the newly created World Trade Organization (WTO). The original member states of theWorld Trade Organization are the parties to the GATT after ratifying the Uruguay Round Agreements, and the European Communities. They obtained this status at the entry into force on 1 January 1995 or upon their date of ratification. All other members have joined the organization as a result of negotiation, and membership consists of a balance of rights and obligations. The process of becoming a World Trade Organization (WTO) member is unique to each applicant country, and the terms of accession are dependent upon the country's stage of economic development and the current trade regime. Non-violation nullification of benefits (NVNB) claims are a species of dispute settlement in the World Trade Organization arising under World Trade Organization multilateral and bilateral trade agreements. NVNB claims are controversial in that they are widely perceived to promote the social vices of unpredictability and uncertainty in international trade law. Other commentators have described NVNB claims as potentially inserting corporate competition policy into the World Trade Organization Dispute Settlement Understanding (DSU). The term multilateral trade negotiations (MTN) initially applied to negotiations between General Agreement on Tariffs and Trade (GATT) member nations conducted under the auspices of the GATT and aimed at reducing tariff and nontariff trade barriers. In 1995 the World Trade Organization (WTO) replaced the GATT as the administrative body. A current round of multilateral trade negotiations was conducted in the Doha Development Agenda round. Customs valuation is the process where customs authorities assign a monetary value to a good or service for the purposes of import or export. Generally, authorities engage in this process as a means of protecting tariff concessions, collecting revenue for the governing authority, implementing trade policy, and protecting public health and safety. Customs duties, and the need for customs valuation, have existed for thousands of years among different cultures, with evidence of their use in the Roman Empire, the Han Dynasty and the Indian sub-continent. The first recorded customs tariff was from 136 in Palmyra, an oasis city in the Syrian desert. Beginning near the end of the 20th century, the procedures used throughout most of the world for customs valuation were codified in the Agreement on Implementation of Article VII of the General Agreement on Tariffs and Trade (GATT) 1994. The spaghetti bowl effect is the multiplication of free trade agreements (FTAs), supplanting multilateral World Trade Organization negotiations as an alternative path toward globalization. The term was first used by Jagdish Bhagwati in 1995 in the paper: “US Trade policy: The infatuation with free trade agreements”, where he openly criticized FTAs as being paradoxically counter-productive in promoting freer and more opened global trades. According to Bhagwati, the too many crisscrossing FTAs would represent a costly complication of World trades, and would allow countries to adopt discriminative trade policies which would, in turns, reduce trade welfare. Afghanistan received membership to the World Trade Organization (WTO) at the 10th WTO Ministerial Conference in Nairobi, Kenya, December 17, 2015. Afghanistan is 164th in the world and 36th among the less-developed countries that have received WTO membership.